I have Truman snuggled close to my heart this very night, snug in the Bjorn baby carrier, something I knew would cure his fussies at least for awhile. This baby, this sweet wonderfully soft and cuddly baby, is my little hero. Truman, who’s name means Faithful, Wise Protector (how fitting for this story). If you’ve been around MarigoldRoad for awhile, you’ll recall that with both Wilder and Story’s births, I experienced severe bouts of post-partum pre-eclampsia, each kicking in around 48 hours post-baby. My experience after Story’s birth was enough for me to say, she is our last baby, I just can’t go through that again. My fear of it happening a third time was tremendous and crippling. I’ve lived plenty of days in fear, BUT as I get older, I gain confidence to fight against it, knowing it’s not Truth. Knowing it’s birthed from a dark place and it can be incapacitating and it can steal joy. Shawn and I had lots of talks about having a third baby and decided together that our family wasn’t quite yet complete. So I had to stare that fear in the eye and say: I serve a God who is big and wonderful and knows exactly what he’s doing. And that was my understatement of the year. Little did I know the Lord was already beginning his redemptive work, His work on my heart and in my faith in him. In February my nephew Oliver was born. My sister went through 30 hours of drug-free labor, and on hour 39, received an emergency c-section. Waiting three days to hear news, any news, was difficult for all of us; we were vigilant in prayer. After visiting her in the hospital, the Lord began a stirring in my heart. I was 32 weeks pregnant and knew something was brewing. The Holy Spirit inspired me to look into all-natural birth! Let me say this again, this was an idea born not of my own flesh but from the Holy Spirit. I could not have come up with it on my own. No way. I knew how effective an epidural was…I had had two relatively comfortable hospital births. 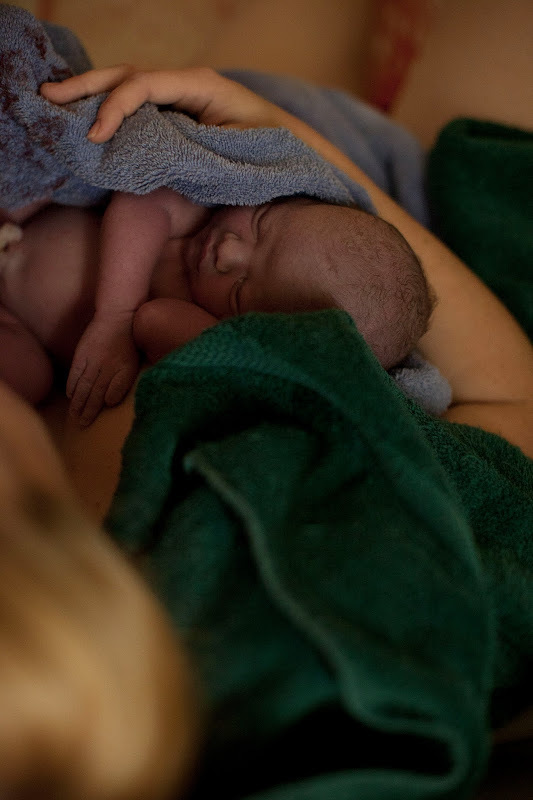 Natural birth was for “crunchy moms” with a high pain tolerance. Judgments and doubts aside, knowing I just needed to obey God, I started researching local midwives and the second I found D’s website, plastered with confirmative scripture, I was a believer. I had this confident conviction that this baby and I could do it! I dove in full force, taking supplements/vitamins, walking (some), and eating fairly healthy foods (this tapered off toward the end when I ate for comfort–oops). I loved my prenatal appointments at their office, the basement of a lovely home…little rooms clean and professional, adorned with vintage baby decor. Not only did we talk about physical health (including preparations for potential eclampsia) and progress, but also my spiritual and emotional strengths as they ebbed and flowed. They loved on my children and prayed with me. They were very laid back about the birth. I’m so glad they were able to squeeze me onto their very busy roster, and that they weren’t phased by my medical history (my pregnancies and deliveries were low risk all three times, so I had that going for me!). The normal doubts reared their heads from time to time. But the more research I did on pain management and the body’s incredible design, the more comfortable I became with the idea of a home birth. I discussed it only with people who were supportive and picked friend’s brains on their natural birth experiences. I read up on hospital births; their stats saddened me. Predominantly, the peace that comes only from God curbed much of my anxiety.